Autumn is probably my favourite season. I love the crisp mornings, dark nights and the perfect excuse to get cosy with a hot chocolate and a book and just chill. 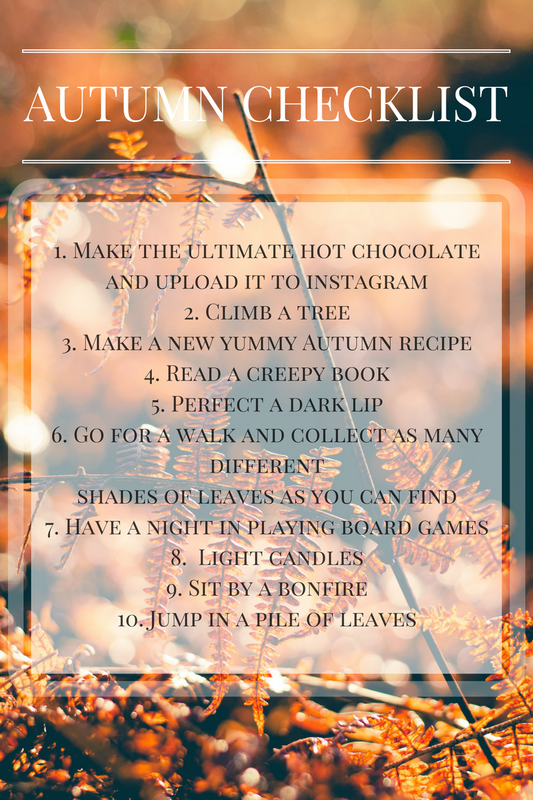 It really is a season to be enjoyed and I've put together a checklist so you can make the most of this Autumn. I hope I am able to go on lots of walks in the coming months as me and my boyfriend have just moved into a new house in a really nice area surrounded by woods and fields. I also need to make the most of my new kitchen and make some treats instead of just focusing on what's for tea. 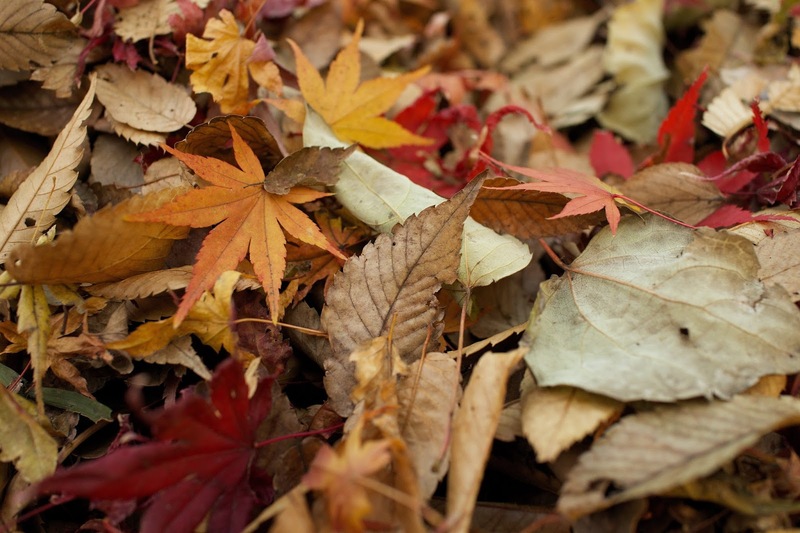 What would you add to this list and what will you be ticking off this autumn? Smiling from ear to ear reading these! This all just sounds like my idea of heaven! 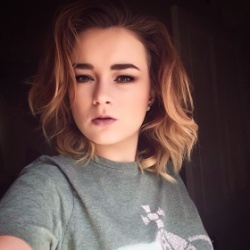 I am currently on the look out for the perfect autumn lipstick! Great post!! Hey there :) thanks for the lbloggers-chat yesterday! You have a lovely blog!